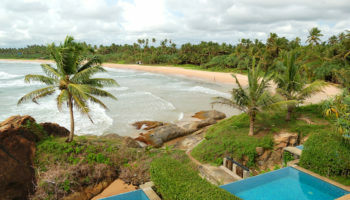 With coconut palms swaying in the breeze, Bentota is a multi-tasking tourist town on the southern coast of Sri Lanka. One of Sri Lanka’s most popular beaches, Bentota is first an Indian Ocean beach resort where water activities, such as surfing, sailing and snorkeling, abound. When it’s time for a change of pace, you can visit a sea turtle hatchery and conservation center, which monitors five of the seven species of sea turtles in the world. 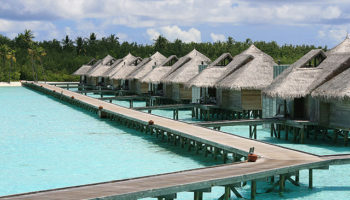 You can also take in a 17th century fortress, lush gardens and an old Buddhist temple that dates from medieval times. Sri Lanka is famous for its tea. What better place to learn more about tea than the source itself: Nuwara Eliya. With a temperate climate and elevation of 1,900 meters (6,100 feet), Nuwara Eliya is the country’s tea production capital. You can tour a tea plantation and see how tea is made. Founded in the 19th century, this hill country town soon became a retreat for British colonists, earning the nickname Little England. April is a good time to visit, when visitors flock here to see the blossoms and celebrate Sri Lanka New Year. 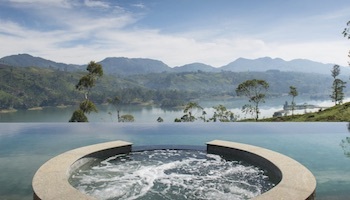 Other sights include Lake Gregory and Laxapana, Sri Lanka’s most famous waterfalls. 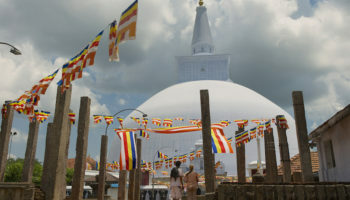 Anuradhapura is an ancient sacred city that was established around a cutting from Buddha’s fig tree. Dating back to the third century BC, Anuradhapura was established by the founder of an order of Buddhist nuns. 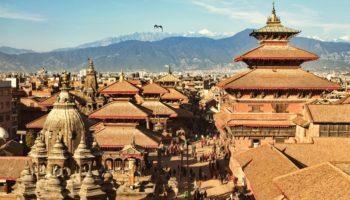 This magnificent city of palaces, temples and monuments flourished for 1,300 years but was abandoned after it was invaded in the late 10th century. Much like Peru’s Machu Picchu, locals were aware of it but not many others until it was “discovered” by Europeans many centuries later. These fantastic ruins have since been excavated and are accessible for the public to enjoy. Colombo has been the commercial capital of Sri Lanka for more than 2,000 years when its large natural harbor made it popular with ancient trades from Italy to China. It’s often referred to as the country’s capital, though the legislative capital is located in a nearby city. Ruled over by first Portuguese and then British colonists, Colombo is a popular tourist destination. One of the most popular attractions is Galle Face Green, a strip park along the Indian Ocean. Also not to be missed is Gangaramaya Temple, which is known for its mix of ethnic architectural styles. Animals rule the roost, the ground and the sky at Yala National Park, a wildlife sanctuary about 240 km (150 miles) from Colombo. 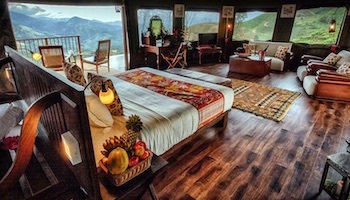 Yala offers a plethora of things to do. 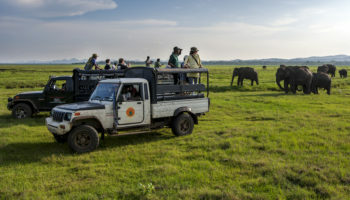 Your visit begins with a safari to see animals, including elephants, water buffalo and leopards, found here in higher density than any other place in the world. Note: the park closes for September’s leopard breeding season. The park also is home to 215 bird species, of which seven are native to the park. Top sights, besides wild animals, are Sithulpauwwa, an ancient rock temple that once housed 12,000 monks, and Magul Maha Viharaya, once the setting for a royal marriage. 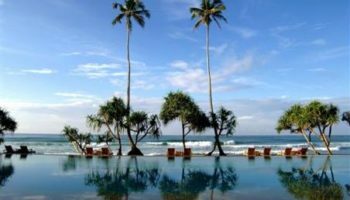 If you’re looking to holiday in a tropical paradise, Mirissa just might be the answer to your dreams: swaying coconut palms, beautiful golden sand beaches, days spent rocking away in a hammock. It doesn’t get much better than this. This crescent-shaped piece of paradise is famous for having the most stunning sunsets and sunrises in Sri Lanka. There are no luxury resorts to mar the landscape, so it’s just you, the beach, and quiet during the day. The pace picks up at night. Mirissa is the largest fishing port on the south coast and is a good place to go dolphin and whale watching. The terms “beauty” and “beast” usually go together well, except at Polonnaruwa where beauty goes better with “ruins.” The second oldest kingdom in Sri Lanka, Polonnaruwa is known for the ruins of this ancient garden city. The 12th century ruins are some of the best preserved in the country. Polonnaruwa was a place where traders of exotic goods mingled with worshippers in the many temples. Start your tour of Polonnaruwa at the Archaeological Museum, then proceed to the massive (50 buildings) Royal Palace with its well-preserved audience hall. The stunningly decorated Sacred Quadrangle is another must-see here. Kandy, the second largest city in Sri Lanka, is the gateway to the Central Highlands and its tropical plantations that grow both tea and rubber. If you’re driving from Colombo, you’ll pass by rubber plantations on a road that is considered one of the country’s most scenic. The last capital of the ancient kingdoms, Kandy is home to the Temple of the Tooth Relic, one of the most sacred Buddhist temples in the world. 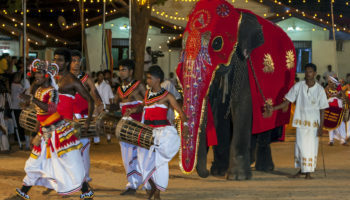 A major, colorful festival involves taking the tooth relic around the city. Movie buffs may be interested to know Kandy was a chief location in Indiana Jones and the Temple of Doom. Galle’s most famous attraction is its 17th century fort built by Dutch colonists. Sitting on a promontory overlooking the Indian ocean, the fort is known for its architectural style. Galle is considered a prime example of a fortified city. The fortress is not just another pretty place, however; today the fort houses courts and businesses. 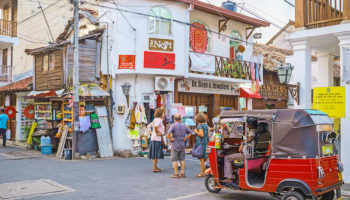 Galle is becoming known as an arts colony and its expat community – about a third of the city’s homes are owned by foreigners. 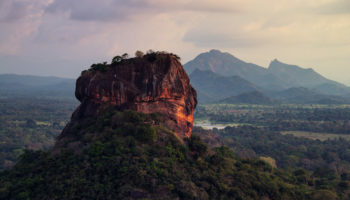 Other top sights include a natural harbor, Sri Lanka’s oldest lighthouse, a maritime museum, a key Shiva temple and the Jesuit built St. Mary’s Cathedral. Wannabe archaeologists need to put Sigiriya on their list of must-see places to visit in Sri Lanka. 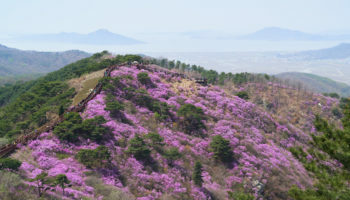 This ancient city is built on a steep slope, topped by a plateau almost 180 meters (600 feet) high. This plateau is known as Lion’s Rock as it oversees the jungles below. Access to the site is through staircases and rooms emanating from the lion’s mouth. You’ll also see ponds, gardens and fountains. Pretty cool! Locals consider the site the eighth wonder of the world. This ancient rock fortress dates back to the third century BC when it was a monastery. It was later turned into a royal residence. Which destination do you consider the best place to visit in Sri Lanka?